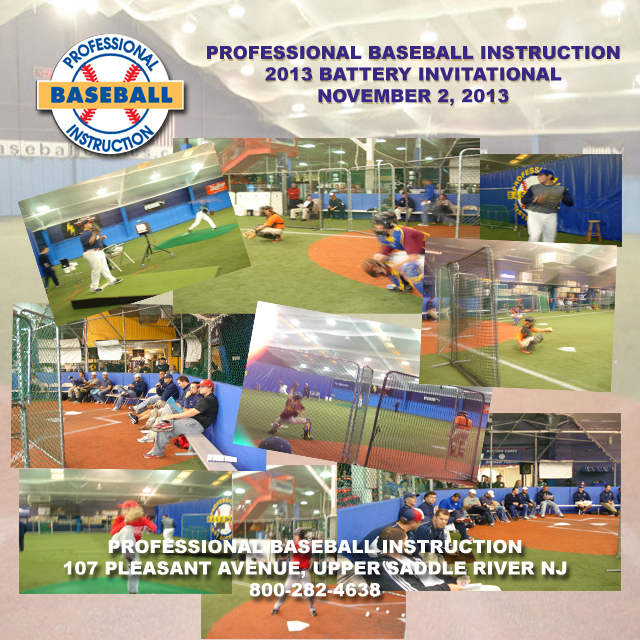 Each November Professional Baseball Instruction invites college coaches, recruiters and professional scouts from around the area to come watch the area’s top pitching and catching prospects work out in our state-of-the-art facility. The date for our 2013 event will be Saturday November 2nd. For complete details and a registration form, click here. These are the schools who have joined us in the past. You’ll note that in addition to college recruiters, scouts from the Chicago Cubs, Cincinnati Reds, New York Mets, New York Yankees, Philadelphia Phillies, Seattle Mariners, Tampa Bay Rays and Texas Rangers have been in attendance. You can expect to showcase your talents in front of a similar collection every November.